One of my happiest moments at Next Jump was when our Boston office hoisted the winning trophy for the 2012 Holiday Party Dance Battle. Our holiday party at Next Jump is held once a year in February, and we bring together all employees from four offices for the event. It’s an amazing perk of being a Next Jumper, one that truly connects us. 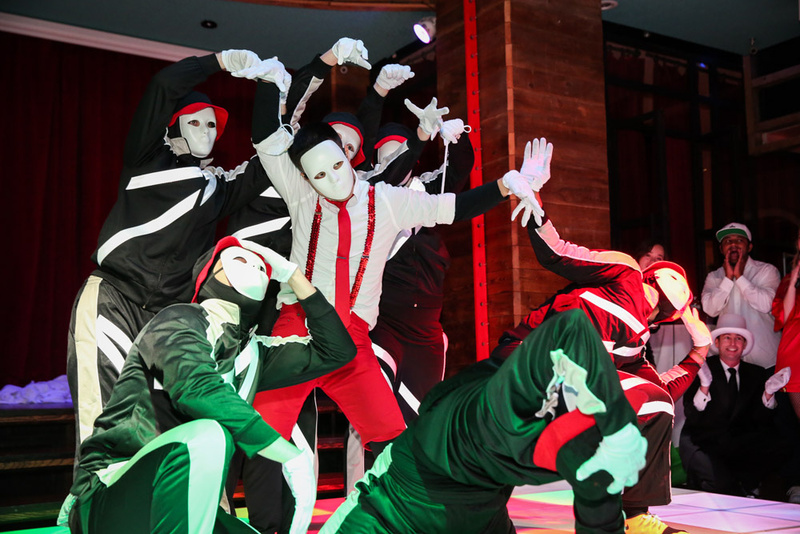 The highlight of the evening is the Dance Battle, in which each of our four offices perform three choreographed routines in front of external judges to compete for the best dance crew of Next Jump, and the coveted trophy. We don’t hire dancers at Next Jump. From engineers to customer service reps, we all dance. However, it wasn’t for many years that we discovered the dance battle was also a great practice ground for leadership development. It has been said in only halfway jest that Next Jumpers take nothing more seriously than the dance competition. Henry Wu is our dance “Executive Producer” (he runs the show) in the Boston office this year. Henry is a five-year Next Jumper who graduated from MIT and works as an engineer on our Perks at Work product. When I recently was explaining our dance battle to a President of one of our clients, he asked “does Henry still do his job?” I answered that yes, he has his core job on the revenue side, but this is his practice ground; and, if he takes his training seriously, I believe it will help him become a better leader everywhere. We talk at Next Jump about how creating a safe environment is a precursor to experimentation. If employees don’t feel safe, fear of failure can often be so great that no innovation or risk taking can happen. One way we have solved for this is to create a “practice ground” for all employees. Our practice ground is culture – every employee owns revenue and culture initiatives. From onboarding to recruiting to even dance battles. A bit more about Henry: Henry is known as a servant leader at Next Jump. He’s been recognized as a “Top 10 Employee of the Month” numerous times, and was nominated as a finalist for our Avengers Award, an honor given to those at the company who most exemplify steward-leadership. Henry is beloved in the office. Yet, he struggles to lead with a vision, and he struggles to be authentic when there is conflict and give difficult feedback. Being in charge of the Boston dance team will give Henry an opportunity to practice in ways well beyond his product role. On one hand, the consequences of Henry being in charge of Boston dance has no bearing on our business impact. Yet, Henry will feel the pressure in many ways more so than in his product role. Which leads me to my last point – great athletes or members of the military train harder in practice so the “game” is easier. We try to recreate that in our practice grounds. And because I want our Boston office to hoist the 2016 Holiday Dance Battle Trophy. 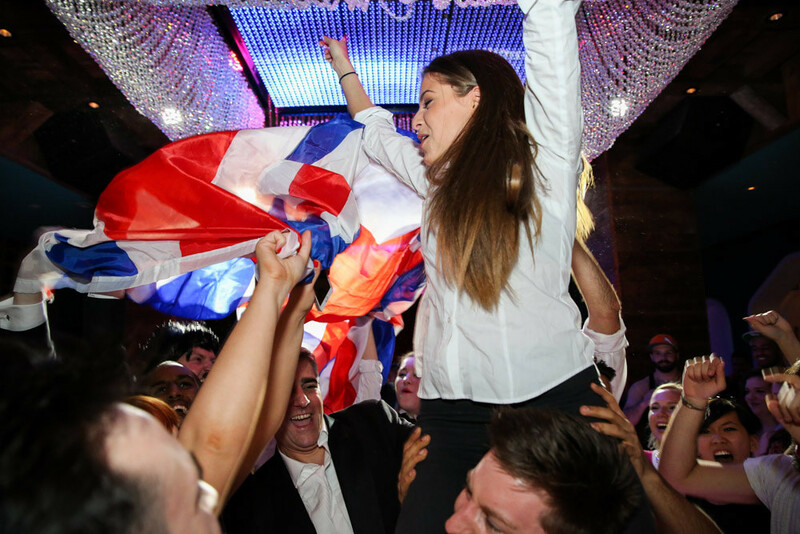 Our UK office celebrating their victory in last year’s competition.